Together with your driver guide you will head south of Florence to the Chianti area where the famous Chianti Classico wines are produced. Driving on the Via Chiantigiana you will see the most beautiful countryside of the region, with rolling hills, vineyards, olive groves, villas and medieval castles. 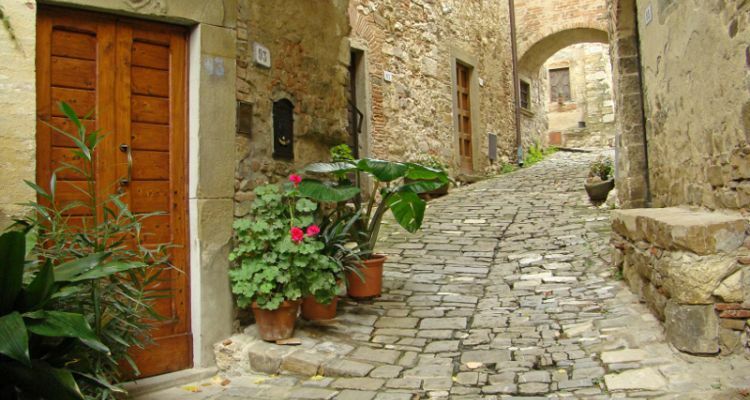 You will stop along the road for pictures before reaching the Castle of Montefioralle, built in the 11th century for defence purposes, later transformed into a charming village. 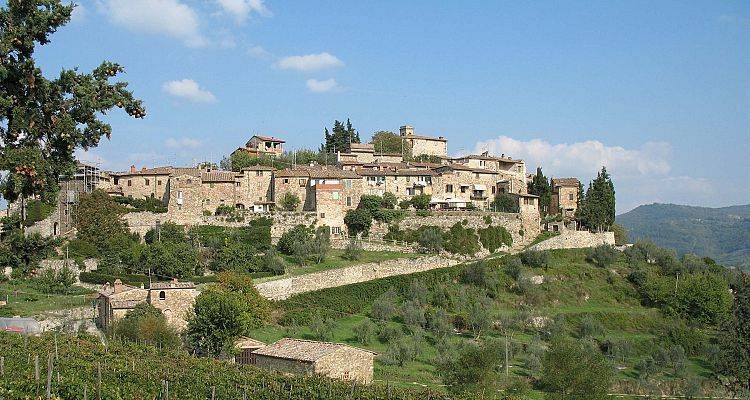 You will also visit Greve in Chianti, a lovely town with a beautiful square and nice shops. If you like you can have an optional wine tasting at the local Enoteca. After that you will go to a celebrated winery for a private tour of the cellars and a tasting of Chianti Classico and Super Tuscan wines. Not included: wine tastings and meals.